Brian Smith was born in Hampton, Va., and grew up in Georgetown, Ind. He received his Bachelor of Music degree in 1997 at the Peabody Conservatory in Baltimore. 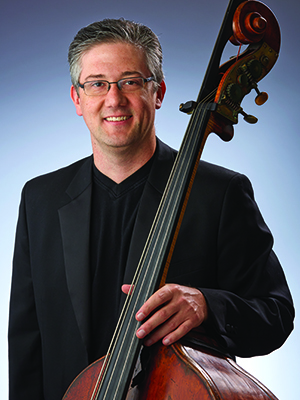 Prior to the ISO, Smith was a member of the Virginia Symphony (1997-2000), the Columbus (Ohio) Symphony (2002-2008) and also performed with the National Symphony, the Philadelphia Orchestra, the Northeastern Pennsylvania Philharmonic, the Concerto Soloists of Philadelphia, the Haddonfield (NJ) Symphony, the Reading (PA) Symphony and the National Repertory Orchestra. Brian is married to violinist Jayna Park, who joined the ISO in 2001. They have a daughter and a son. "I love the moment of pure silence before the downbeat of a performance. The sense of focus and intention is palatable, where every musician is poised like an athlete in the starting block anticipating the action to come. It's the moment where preparation becomes creation."